For the next few weeks, MileSplit MA will features some of our top individuals this outdoor track & field season in our Athletes To Watch series. Who are the athletes that should make an impact this spring? We'll do our best to let you know. Belmont's Calvin Perkins (852) was second in the 400m at last year's State Meet. The Marauder senior is the state's leading returner in the 400m, finishing second last year to former Burncoat standout Rodney Agyare-May with a personal best of 48.65. Perkins is coming off an indoor season where he captured his first individual state title, winning the 600m in a state No. 1 of 1:19.97. He followed that effort by running sub-50 in the 400m at the New Balance Nationals where he was timed in 49.08. 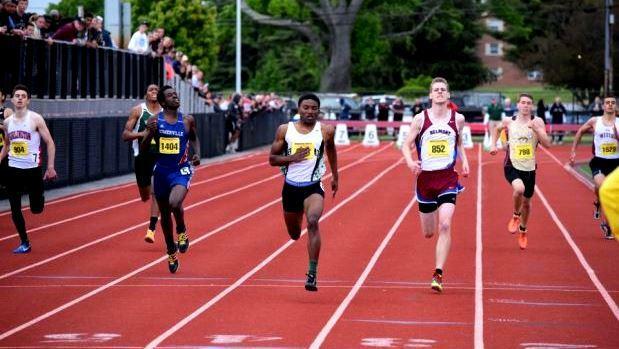 Perkins will certainly have the competition to push him this spring with a host of runners that have cracked 50 seconds, including Somerville's Phillips Magre, the state and New England champion for 300m this past indoor season.